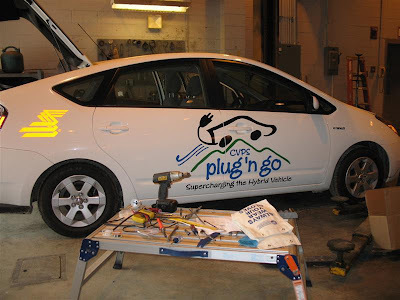 Here a high voltage connection being made inside the Toyota battery. The precharge resistor, current sensor and contactors are visible. Proper saftey procedures are important. 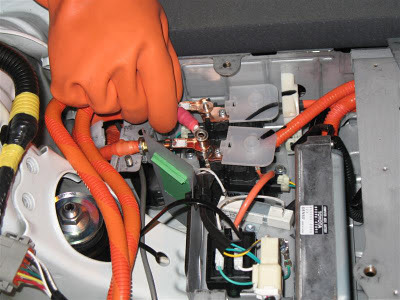 The oarange gloves are a precaution, no voltage is present at these connections. This photo shows the graphics applied to differentiate this PHEV Prius from the other Prius in the CVPS fleet.